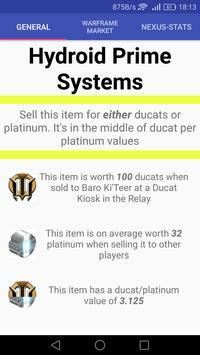 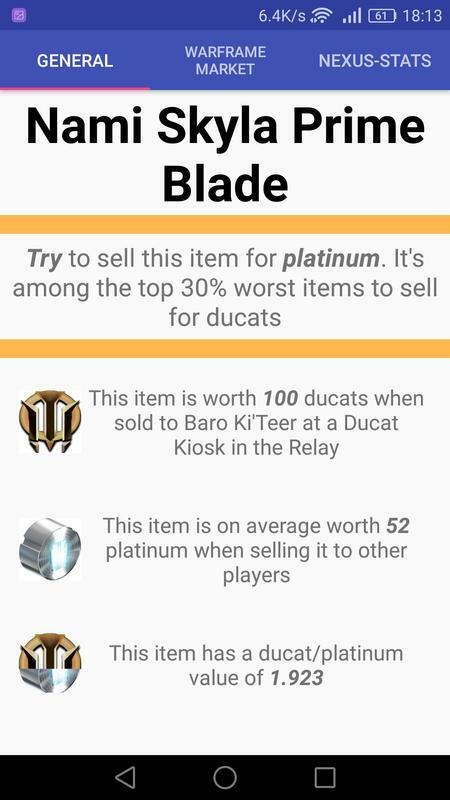 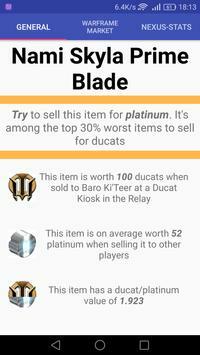 The app also allows you to sort the list of items based on their name, ducat price, platinum price or "ducats per plat"- value. 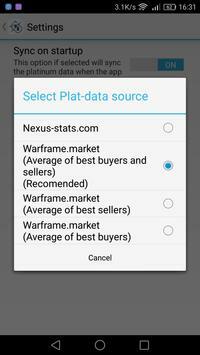 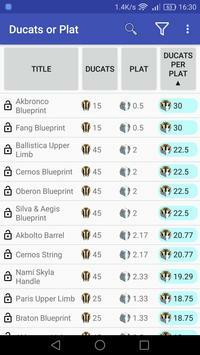 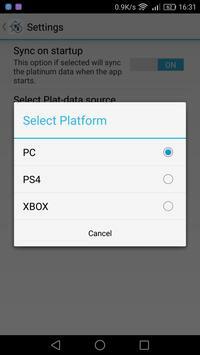 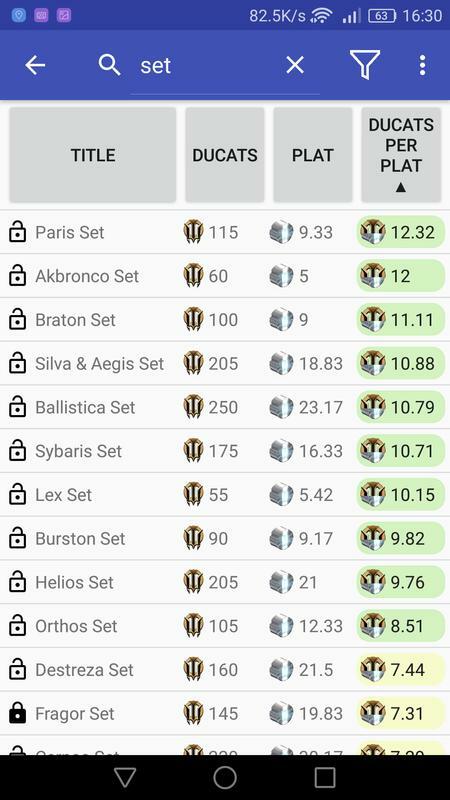 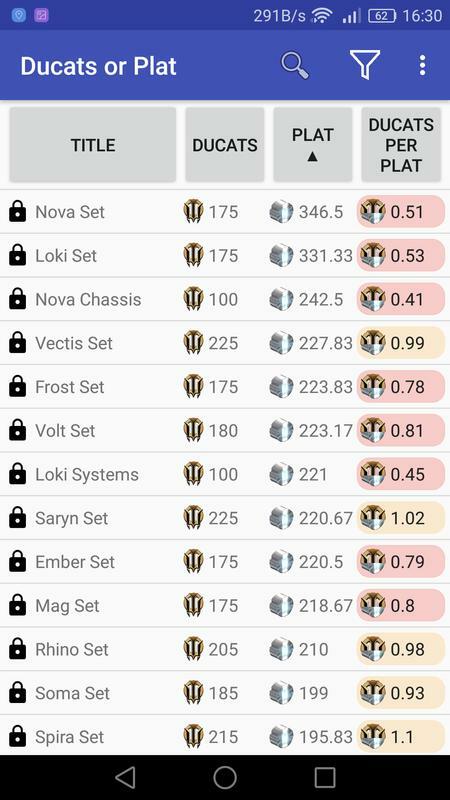 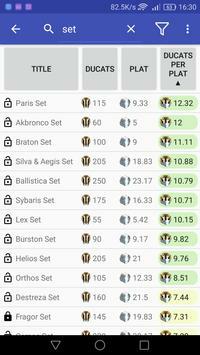 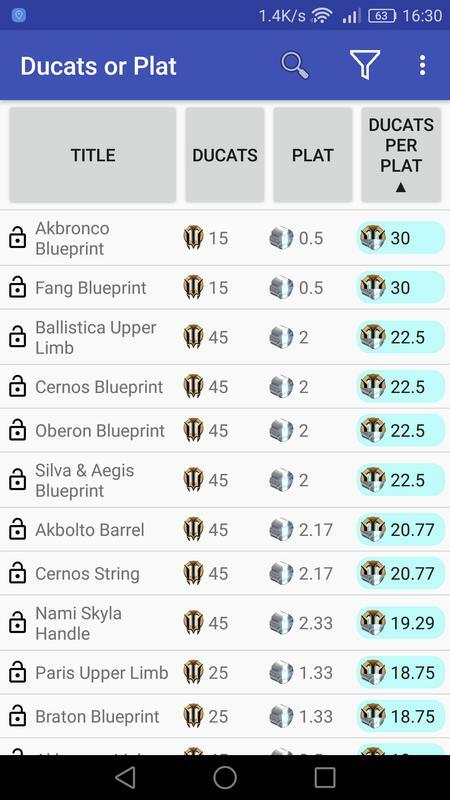 The plat data in the app can come from 2 sites, warframe.market or nexus-stats. You can change which site you want from the settings of the app. 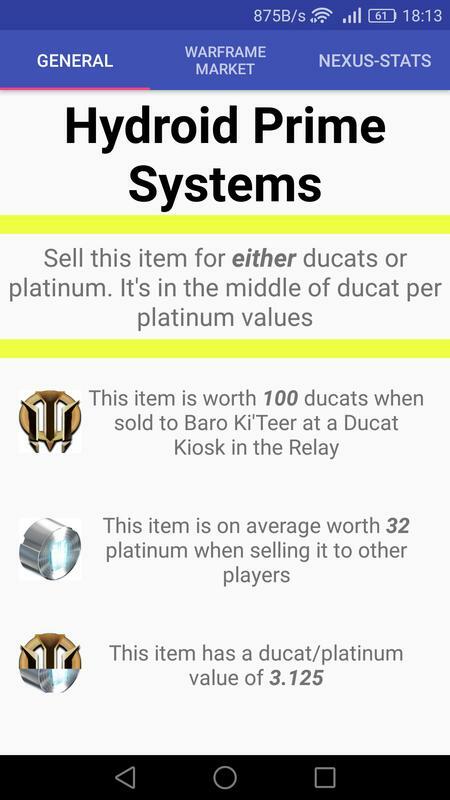 If you use warframe.market you also have to option to select prices from ps4 or xbox. 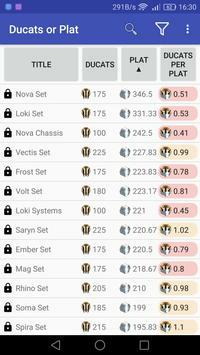 All graphics in this app belong to Warframes creators Digital Extremes. Thanks to TheHaso for drawing the icon for this app as well as the banner on the google play page.